Redbox Restaurant is a good addition to the small list of Sri Lankan restaurants in Dubai. This small eatery dishes up authentic food of Sri Lanka that is as spicy as one might have heard about this regional cuisine. However, the taste and quality of food offered at Redbox Restaurant is simply outstanding because its chefs use only authentic and finest ingredients to prepare these dishes. It is because of this very reason their dishes are so luscious and rich in flavors. The decor and overall service are also great at Redbox, and most importantly people can easily spot this tiny eatery in Ghusais region on Damascus Street. When you will visit Redbox Restaurant in Ghausis, Dubai, you will come across these names Hoppers, Devilled Kingfish, Dhal Curry, String Hoppers, Chicken Lamprais, Godamba Roti and etc. These are the names of some top Sri Lankan dishes that are quite famous and well-liked. 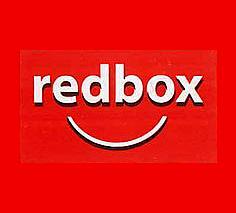 As compared to a fine dining restaurant, Redbox has limited set of services but all of them are first-rate including the service provided by its friendly staff members. See the menu of from Redbox Restaurant here. Opening hours of Redbox Restaurant between Sunday and Thursday are from 8:30 am to 10:30 pm, while on Friday and Saturday it operates between 8:30 am and 11:00 pm. Damascus Street, Ghusais - Dubai - United Arab Emirates. 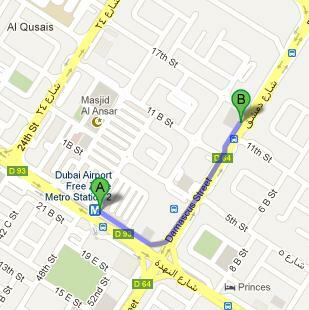 Patrons can easily reach Redbox Restaurant if they take metro to Dubai Airport Free Zone Metro Station 2. As this metro station is 950 meters away from Redbox Restaurant and on foot this journey can be completed in roughly 12 minutes. All patrons need to do is to head in the southeast course that goes towards Damascus Street from where they should continue straight onto Damascus Street, and after covering some distance patrons must turn slight left in order to spot the destination. Head northeast on Damascus Street, then take a sharp left turn and you will see the destination right in front. Bus numbers 13B, 17, C18, C19, C26 and F08 serve this bus station. See map for directions.